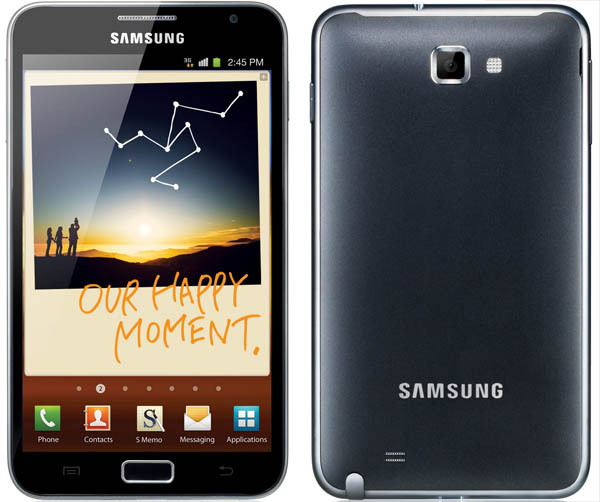 It was just 5 months back when Samsung unveiled its 5 inch phablet, the Samsung Galaxy Note to the world. After the initial launch everybody was thinking if we actually needed a 5 inch mobile for our daily need. But then Samsung went with an aggressive marketing for the device and convinced us all that yes, we do need a 5 inch device that completes our need for a mobile and a tablet at the same time. And after 5 months of its launch, the Korean company has announced that it has shipped around 5 million of those phablets around the world. Now that’s definitely a great number for a new sized device. It was back in December when Samsung had announced that they shipped 1 million Galaxy Notes and now they have shipped 5 million of them. But the device would be more interesting when Samsung finally releases the much awaited Android 4.0 upgrade for it along with the Galaxy Note Premium Suite upgrade in Q2, 2012. Let’s wait and see what more does Samsung have in store for us in the coming months. Also read our review of the Samsung Galaxy Note here.